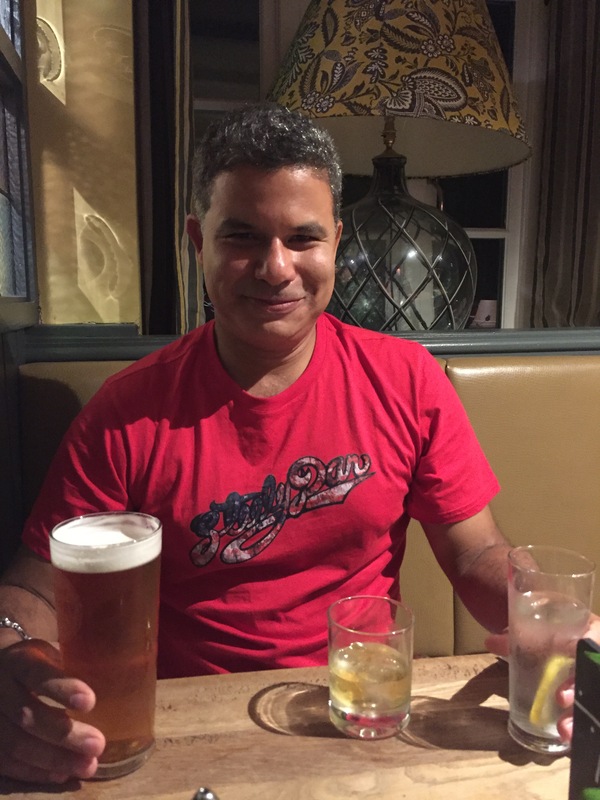 Newtown Literary is pleased to spotlight Queens writer Carlos Hiraldo. We interviewed him about his new poetry collection, Machu Picchu Me, and his responses are below. Tell us about Machu Picchu Me. What is it about? Machu Picchu Me is a collection of poems I wrote between 1993 and 2007. They r eflect the thoughts, feelings, and desires of an urban young man struggling to achieve what he would consider success in the personal, professional and social spheres. I wouldn’t say the poems are autobiographical. At least, I hope they are more than that. But the starting point is always an experience or a feeling or an idea evoked by an experience. Or rather, the memory of an experience. Tell us about the process of writing Machu Picchu Me. I guess the process lasted from 1993 to 2015. The first step was writing the individual poems throughout the years. As I wrote these poems, I didn’t think of them as forming part of a single book. I would send them off for publication in journals along with other poems I was writing at the time. Some of the poems that appear in Machu Picchu Me have appeared before in print and electronic journals. The second step in writing the book came when I put together the first version of the manuscript in 2008. It had the same title, and the title poem with its poetic manifesto of sorts opened the book as it does today. That early version, however, contained many more poems. Throughout the years, I have added and deleted poems from that period according to the advice and suggestion of fellow poets and writers who are closed and trusted friends. The third and final step came when the book was accepted by its current publisher. Then I engaged in an extensive revision process in which many of the poems were, I hope, strengthened. First and foremost, I hope the readers can identify some of their own experiences, ideas, and feelings in the poems. I think that’s part of what every poet hopes for his or her book. Specifically, for Machu Picchu Me, I hope readers discover a voice that is seldom heard in American letters – that of a U.S.-born Latino trying to find a satisfying place within his native country, a country that doesn’t always acknowledge him and when it does, it is often hostile to him. Latino literature in the U.S. has been predominantly that of the immigrant experience. Though there’s been a large Latino community in New York City since the late nineteenth century, large enough for there to have been Spanish language newspapers in the city since then, and though we know that the United States arrived in what used to be Northern Mexico in the mid-nineteenth century, Latinos are still seen as “coming to America.” It’s is like we are never already here, like we never finally arrive. What’s considered the best of Latino literature reflects this perception. Many if not most Latino writers have been immigrants themselves. The voice of Machu Picchu Me identifies with the immigrant experience. It is that of his parents and of the community in which he is born and raised, but immigration does not inform his own relation with the United States. I am a poet and an English professor within the City University of New York. 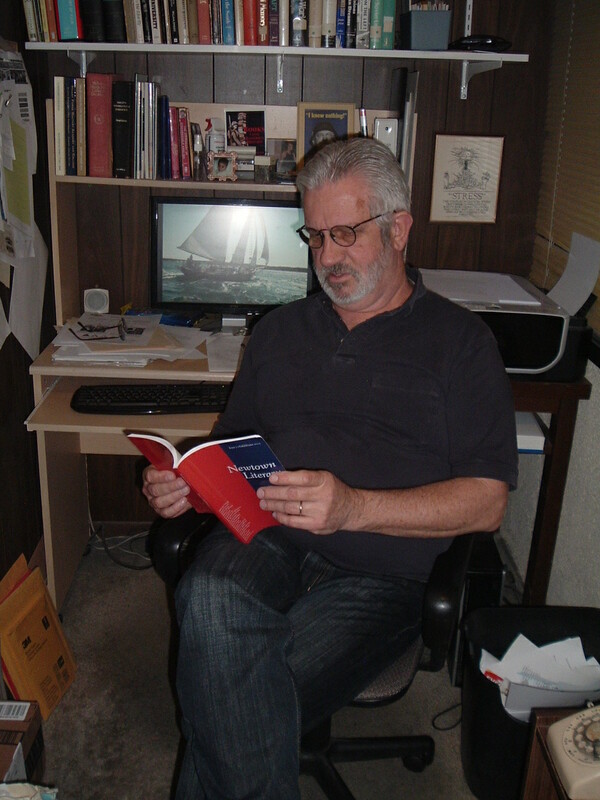 I have written many other poems, some of which have been published in poetry journals. I have also written academic works that have appeared in various publications. In 2003, I published Segregated Miscegenation: On the Treatment of Racial Hybridity in the U.S. and Latin American Literary Traditions. It explores the ways in which the definition of a “black” character evolved differently in U.S. and Latin American novels. Those definitions of course have influenced and reflected how the two societies have traditionally established who is black within their respective populations. How does/did being a Queens writer influence your writing? I can’t say that being a Queens writer influenced most of the poems in Machu Picchu Me. I wrote these during periods when I was living in Boston, Manhattan, Long Island, and then back again in Manhattan. Only “Off Sylvia Plath” is a proper Queens poem. It reflects my thoughts upon first moving to Sunnyside from Washington Heights where I was born and mostly raised. Queens does have a very strong influence on my writing today. I live with my family in Astoria. I can say the pace of life in Queens is slower and more open than it is in Manhattan at least for now. One gets more of a sense of community in Queens while still enjoying the thrills of living in New York City. I think my poetry today reflects more of that openness and sense of belonging. What other writers have influenced or inspired you? Many writers have inspired and influenced me. So many I couldn’t possibly do justice to all of them. I love the power of the images in the works of T.S. Eliot, William Carlos Williams, Amiri Baraka, and Stevie Smith. Baraka was so inventive and re-inventive. His poetry and his overall writing style would change with shifts in how he perceived our social-political reality. And Stevie Smith’s sense of irony. I hope my poetry has that. A certain ironic distancing can be such a powerfully useful tool for the individual to grapple with the world. But again, I feel like speaking of influences is only an exercise in momentary recall. I just remembered that I am leaving out Charles Bukowski. I have devoured everything he has written. He seems to have been the only U.S. poet able to write successfully about class. Influences and inspirations… influences and inspirations… there are so many. Some poets can influence you with just one poem. Erik Pihel’s “Manhattan.” Paul Beatty’s “At Ease.” May Swanson’s “How Everything Happens (Based on a Study of the Waves).” So many poets, so little time to acknowledge what they have all meant to me at different periods in my life. When you’re not writing, what’s your favorite thing to do? Hang out with my two boys. Seriously. I am not just trying to seem like the cool contemporary dad. They are great. They live in the moment and say whatever it is that comes to mind. And I can steal some of the stuff they come up with for my own work. Tell us something about you that has nothing to do with your book. My family has nothing to do with my book. They came along after the poems in the book were written. I tend to think the best poetry comes from the darkest of places. My family has made me very happy. So even though I still tend to write poetry when things aren’t going that well, my current poetry can only get so dark. Some of it might actually be downright happy. What should I have asked that I didn’t? Readers can find my book on Amazon and on the website for my publisher, Palamedes Publishing. Writer Suzanne Bennett’s story “The Adoption” was featured in Issue #8 of Newtown Literary. She discusses her piece below. Find out more about Suzanne and her writing at her website. The dystopian story “The Adoption” grew from my wondering about the growing importance pets have in the lives of humans. The particular seed of the story sprang from witnessing a friend struggle to pay for her cat’s care after it developed cancer. 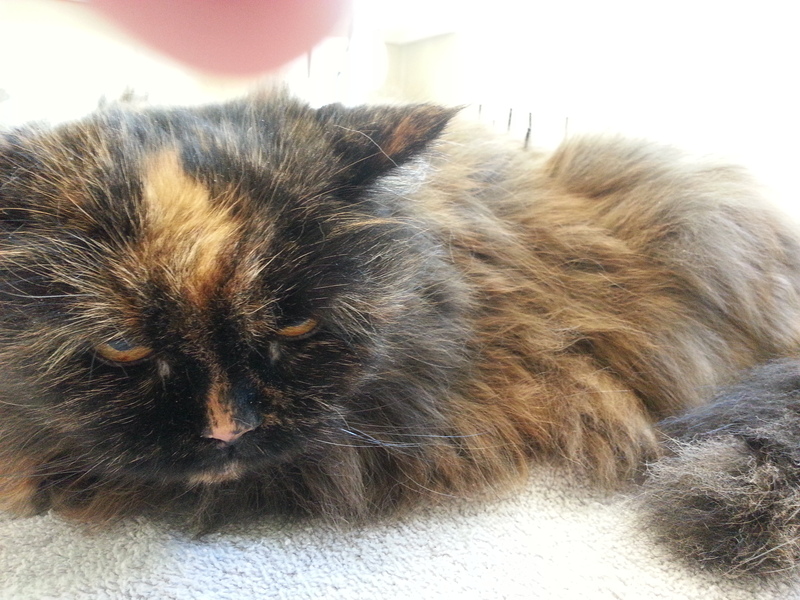 On a less lofty scale, I’m sure Petunia, the half Persian cat who ruled our house for 23 years, was the model for the adopted cat, Zohra, a Persian—and the name of an actual Persian Princess. I’m not sure how the piece became futuristic, or landed in Queens exactly. A writing workshop in Diversity Square led by Nancy Agabian during one of Queens Writes Weekends got me to focus on the Square, which became the opening setting; a trip to St. Michael’s Cemetery for the annual Scott Joplin tribute prompted a walk through their amazing crypts and statues and it became the home for some of the characters. Dealing with cataclysmic factors that created the story’s futuristic world led to research on dangers for the New York metropolitan area which revealed, among other things: the presence of an earthquake fault that runs along 125th Street in Manhattan; that Indian Point nuclear plant can only withstand a quake of 6.1, which is less than what is predicted for the area’s next quake; and that New York City could be flooded by 2050, sooner if we don’t get more proactive about our energy uses. I read about the consequences of earthquakes, hurricanes, and tidal waves. For months my night table had a stack of sleep-deterring books, with names like Disasters: Natural and Manmade! Pictures of disaster zones were key in constructing the setting of the story, as were Jackson Heights and Elmhurst neighborhood spots where I took notes and photos. When the central character, Lovell, popped into my head, I was surprised but ended up becoming quite fond of him. He’s one of the reasons “Adoption” is becoming a series of stories. Also, I enjoyed creating the walk-on characters, which gave me an opportunity to highlight the amazing diversity of Queens. Speculative fiction is not a genre I’ve read deeply in, or thought I would write. We live in such traumatic times, I suspect it’s no wonder many writers are drawn to it. It occurs to me, too, that writing speculative fiction gives a way to address ideas that might seem heavy-handed, or over-whelming if set in the present. We like to kid ourselves that disastrous times are way far away in the future. Writer Sokunthary Svay’s poems “The Khmer Speaks through Palms” and “Common Ground” were featured in Issue #7 of Newtown Literary. We interviewed her about her writing, and her answers are below. You can follow her on Twitter @SokSrai. Sokunthary Svay. I let people call me “Sok” although people sometimes hear “sock”, “sook”, or “silk” for some reason. What is your relationship to Queens? I lived in Astoria from 2003-2006, and moved to Forest Hills (where I currently live) in late 2006 after I became pregnant. What is your favorite memory of Queens? Not a fair question since there are too many. Not specifically a memory, but my impression of living in Astoria just out of college and the freedom I enjoyed before the responsibility of being a parent to my terrific kid, Soriya, who’s turning 9. How would you describe the writing you do? The majority of my writing identity is a mix of my Cambodian heritage with my urban, New York City upbringing. I tend to discuss issues of hyphenated identity, mixed with class and gender. I was born in a refugee camp in Thailand and have always felt displaced from most settings in my life — academic, literary, social, etc. In the past I felt disgruntled by it, this feeling of not belonging anywhere since I was born seeking refuge, but now I’ve come to see that “outsider” mentality as a source of strength. It allows me to be more open to taking in the new and keeping what works for me. I don’t feel quite as entrenched as those who are more definitive in their nationality. I also enjoy breaking stereotypes and stomping on the assumptions people have of someone who looks like me – brown and Asian. Quite naturally, I guess. I have a second grade report card with a comment that says “Sokunthary enjoys writing about Cambodia.” That set the stage for it. I remember making a homemade book as part of a 3rd or 4th grade project and I wrote about the “war” in Cambodia (my parents survived the Khmer Rouge regime). I drew a picture of a dead person in a lake with blood seeping from the body. Nothing I write now is quite as violent, but I do enjoy a bit of shock value, though maybe more nuanced. People and music. My husband tells me I’m an optimist when it comes to people, though it’s sometimes put to the test. I love connecting with strangers. I make it a point to remember the names of people I encounter on a regular basis. There’s nothing like calling someone by their name and seeing their otherwise bland-New Yorker expression light up. That moment of recognition is what I look for. New York City is sometimes a hard place to be in, but we can share moments with people and feel a little less alone in our struggle. In addition, my parents and other Cambodians, whether in Cambodia or the American diaspora, continually inspire me to remember the unseen. I care about the stories of unsung heroes and forgotten people. My mother cleans hotel rooms in Times Square. My father worked as a porter (manual labor) at a university. People easily overlook them because of their jobs. Because of this, I have a soft spot for doormen and I always leave a good tip for room attendants (and bartenders). I grew up in the Bronx and I have a special kinship with the borough and its people although I’m a Queens resident now. Hip hop, R&B, and Soul are in my blood along with Cambodian ’50s surf rock, and classical music from my years in music school. All these aspects of who I am that don’t seem to go together remind me of the cultural exchange we make on a daily basis. It’s what sets us apart as a city — we negotiate the boundaries of what it means to be an individual in a setting where our definition of ourselves shifts everyday. What does it mean to be a writer in Queens? It means being on the brink of NYC and the world, and open to the languages and cultures that have come to define and differentiate it from other cities in our country. On my block alone, I can count 11 different languages spoken on a daily basis, sometimes three in one household. Imagine the different thinking processes involved, the clash of cultures and misunderstandings that ensue? I love the humanity of it all, even if I sometimes find myself a bit disoriented by it. What writing project(s) are you currently working on? My Cambodian heritage is a source of strength and pride for me. Like many people, I have a lot of ideas and plans, but not enough time. I’d like to do some interpretations of Cambodian folktales, either in prose or poetic form. I like that idea because it can be an educational experience for me and the reader, whether they’re of Khmer descent or not. I’m also fascinated by speculative writing, and having had some of my “speculative” poetry published in LONTAR, a Southeast Asian-based journal that specializes in that field of the fantastical writing from that region, I want to explore the spirits and ghosts that make up so much of the storytelling I’m accustomed to from my childhood. And as an active musician, I’m starting to understand that my music and writing world don’t have to be separate but can come together. I’m a big fan of Schubert art songs, having sung some of them myself. The text of his lieder (art songs) tend to be taken from famous German poetry, which he then sets to music. On that note (ha! ), I’d like to take some of my work and thematically create a song cycle about Cambodia as a collaborative effort with a composer. This way my work could be breathing, existing not just on paper but in a temporal art. I’d also like to write a collection of essays about various incidences of music and its effect in my life. I’ve got a draft going right now about my obsession with Jeff Buckley, which led me to revisit music school as an adult. Lastly, I’ve got a draft of a chapbook that I’d like to submit sometime this year. What should I be asking you that I didn’t? I wish I had met my other three grandparents. Two on my father’s side died a long time ago (my father is the youngest of several siblings) and my grandfather on my mother’s side died of cancer. I also wish my spoken Khmer was better and that I was literate in the language as well. I wish I had followed my instincts to continue singing in my undergraduate years rather than waiting until after motherhood to allow myself that indulgence. I wish I had taken more risks with my education, but I think I was a late bloomer. An important poet in the field told me a long time ago to write in another genre (this is after he read some of my work). I stopped writing for a few years because of his comments. I wish I had a network of writers then who would’ve told me that he was an old fart and to keep writing anyway. But alas, I found my way back and my life worked out the way it did and it’s better for it. Join Poetry and Coffee at Communitea on June 27 at 6 p.m. for a reading and discussion on “Men!” Tickets are free but required. Join Poetry and Coffee at the Queens Lit Fest on July 16 at 6 p.m. for a reading and discussion featuring Connie Salvayon, Ingrid Gociu, Sandi Leibowitz, Richie Alexandro, and Valerie G. Keane. Tickets are free. Join the Risk of Discovery Reading Series on June 21 at 7:30 p.m. at Astoria Coffee for a writing workshop followed by a poetry open mic and show led by Micah Zevin and featuring Lisa Marie Basile, Richard Jeffrey Newman, and J.T. Price. There is a $10 cover charge, which will serve as credit toward food or drink. Join the Risk of Discovery Reading Series on July 31 at 1 p.m. as part of the New York City Poetry Festival. The reading will feature Susan Weiman, Peter Marra, Jared Harel, Abigail Welhouse, Ron Kolm, Craig Kite, and Valerie G. Keane. Join Boundless Tales on July 31 at 1:30 p.m. as part of the New York City Poetry Festival. The reading will feature Sydney Hartlove, Catherine Fletcher, and Andres Castro. The Jamaica Center for Arts & Learning is calling for artists to apply for a free one-month residency. For more information, and to apply, check out the JCAL website. Applications are accepted on a rolling basis. 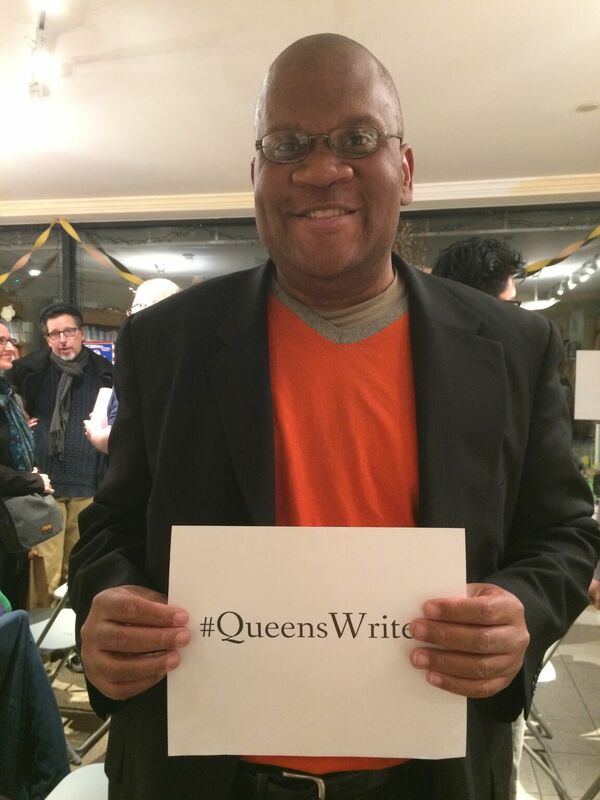 Newtown Literary is pleased to spotlight Queens writer Joe Okonkwo. We interviewed him about his new novel, Jazz Moon, and his responses are below. Tell us about Jazz Moon. What is it about? The novel is set against the backdrop of the Harlem Renaissance and Jazz Age Paris. It’s about Ben and his personal and creative odyssey which takes him from rural Georgia to Harlem to the Paris of Josephine Baker. The story is about coming out, coming of age, race, jazz, the blues, poetry, and the difficulties that the search for love presents. And it’s an ode to a vibrant and difficult cultural period that saw an explosion of black artistic and political movement. Artistically and politically, The Harlem Renaissance was the first time people realized that black is beautiful. Tell us about the process of writing Jazz Moon. 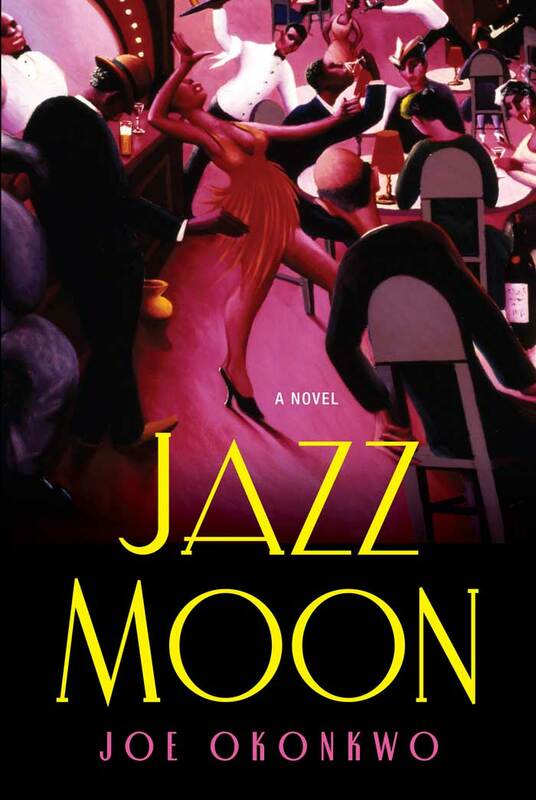 Jazz Moon started off as a short story in 2004. I heard about a short story contest with a word limit of 1500. I thought, “Oh, yeah, I can write this story in 1500 words.” 95,000 words and twelve years later, here it is! The process drew on my knowledge of and affinity for the era: its music, its literature. I also did a ton of historical research to get the details right and make them tangible and really transport the reader to this world. Ideally I’d like to spark a revival of interest in the Harlem Renaissance. Rather, I’d like to continue sparking that interest. Queen Latifah starred recently in a TV biopic about Bessie Smith who was known as the Empress of the Blues. Audra McDonald is currently starring in Shuffle Along on Broadway. That show was originally produced in 1921 and was a landmark in terms of successfully bringing black entertainment to the Great White Way. So Jazz Moon is participating in bringing the Harlem Renaissance into the 21st Century. Some short stories, one of which (“Cleo”) has been nominated for a Pushcart Prize. And some poetry, most of which I’m not too proud of. I can’t tell you how often I’ve told people that I live in Queens and the swift (and rather rude) reaction is: “That’s SO far.” Queens is often dismissed, if not outright denigrated. The implication is that if you live in Queens, you’re not really part of New York City. You’re an outsider. I think that “outsider” status influences all of my writing, certainly Jazz Moon where my protagonist is black and gay and a poet and, therefore, not part of the mainstream. Toni Morrison is my favorite writer. Her novel Beloved makes you understand how slavery destroyed people on an intensely personal and spiritual level. James Baldwin’s Another Country was the first gay book I ever read. I got depressed when I finished it because the characters had become friends and it hurt to leave them. Shakespeare has influenced me, too. His grand language hits the mark and is so beautifully crafted. And, believe it or not, I find political writing inspiring. Political writers have to quickly get the facts across and be creative enough to keep the reader’s attention. Fiction is often like that, too. Reading politics absolutely helps my fiction writing. Read. Drink wine. Think about what to write next. I’ve lived in a multitude of places: Syracuse, NY; Flint, MI; Lagos, Nigeria; Vicksburg, MS; California; Houston, TX; and Astoria, NY. I’ve lived so many places that I don’t feel I’m really from anywhere. About my next book! I’m staying with the Harlem Renaissance. There’s still more to learn there. The next novel will be about Gladys Bentley (who makes a cameo appearance in Jazz Moon). She was a real person. Blues singer, pianist. She was a drag king, known for wearing a white tux and top hat. She would change the lyrics of popular songs and make them naughty and flirt with the women in the audience. She claimed to have married a white woman in an Atlantic City ceremony, but there’s no evidence to support that claim. In the McCarthy-tainted 1950s, Bentley gave an interview to Ebony magazine saying she had “cured” herself of lesbianism by taking female hormones. It seemed to be a pretty rich life. And not that much has been written about her, so that makes for fertile and imaginative subject matter. 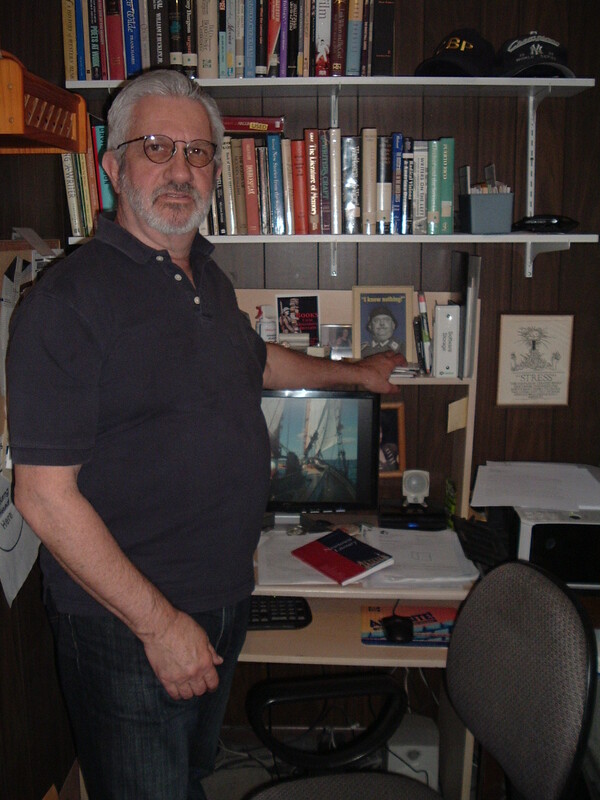 Writer Bill Cushing’s story “The Commies Come to Watertown” was featured in Issue #7 of Newtown Literary. We interviewed him about his writing, and his answers are below. You can read more from Bill at PoemHunter.com or at PoetryNook.com. I have always considered myself a New Yorker first and foremost even though I’ve spent decades in other locales. My Dad was from Brooklyn and grew up in Albany. I was born in Norfolk, Virginia, because he was serving on subs in the Navy, but before I was two, the family moved, first to Flushing and then to Douglaston. I still have many of my “emotional roots” there even though I have been gone for so long. Once while visiting a friend out on the Island, I took a side trip through the town to show my wife the places I grew up, so my relationship with the borough seems unending. That is tough to answer, but certainly my time both in New York through the ’50s, ’60s, and ’70s has to count for something. What’s interesting are the many fascinating people I grew up with and knew in my youth: James Conlon has become a world-renowned operatic conductor, Debbie Berke is now the first female dean of architecture at Yale, and I hardly have to qualify John McEnroe. Because I tend to work across genres, my writing shifts gears with the theme and format of the piece, but I also find that I tend to be influenced by whomever I may be reading at the moment, which makes things confusing at times but also, hopefully, interesting. For instance, I am currently reading the novel A Void by Georges Perec, a surrealistic mystery, while also reading Solzhenitsyn’s Gulag Archipelago. I’m certain the combination of those influences must rub off into my ongoing work. My first interest in the arts was visual, and I used to sketch and paint. However, when I entered the sixth grade, I was lucky enough to have several teachers who chose our reading assignments very well so that I soon began to read with a passion. My admiration for these writers pushed me to try it myself, and by the time I reached high school, I was active on the student newspaper, writing across departments with a monthly column being my favorite assignment since it allowed me to choose whatever topic I wished. Even before I made writing an academic choice, I kept journals, sketchbooks, and pads of paper with short pieces and some short stories. I still have many of these in file folders, boxes, and various piles—much to the chagrin of my wife. Growing up, my “dream” was to get a journalism degree and write for the New York Times sports section. Then I got sidetracked when I managed to flunk out of the University of Missouri and enlisted in the Navy. Then I spent about 15 years after working primarily as a shipyard worker, but I continued maintaining journals, notes, and skeletons of stories. Finally returning college at the age of 35, I was lucky enough—yet again—to enroll with an instructor who rekindled my desire to start writing seriously. While I started school with the intention of majoring in either history or humanities, I ended up getting a dual major in literature and creative writing. From there it was an easy decision to continue, and I was fortunate enough to be admitted to the only post-grad program I wanted: the MFA program at Goddard College in Vermont. That’s simple: life. But when I say that, I don’t mean only my life but my observations of the lives of people around me whether they are known by me or strangers I happen to see. I think it is difficult if not impossible for writers not produce material based on people and events in life. Even most of my poems are images and impressions of those I’ve met or that which I have experienced. But the other part of “inspiration” is, as Philip Levine alluded to in his memoir, the willingness to spend the energy in an effort to produce pieces worth reading. If anything motivates a writer, I argue it is the desire to be read and heard as an individual. Writing becomes that person’s voice. I would say the act of writing is more a calling because, whether I get paid or not, published or not, I cannot stop writing. Perhaps that makes it more of an obsession. That’s an interesting perspective because, other than my internal “voice”, I likely would have written regardless of where I was from. Certainly my place of origin influences how I see things and then write about them—I am a big believer in Locke’s theory of the tabula rasa, but that is only one part of the whole recipe. Staying put or moving around only alters the possibilities, not the desire. I’ve spent a good portion of my life traveling the country because of work, and I’ve found that material is almost anywhere there is a window. Yes, I travel, but I do not travel to write; my writing comes out of the journey. I am now trying to pare down my MFA thesis into a publishable piece. The title is Counting Down the Breaths, a “memoir” about my late wife, and it chronicles the dual lives of me and her, our subsequent relationship, her battle with cancer, and as indicated by the title, the event of her death, which I witnessed over the final hours of her life. Perhaps the greatest inspiration for the work was my desire to share with others the ordeal of the caregiver for those with terminal disease. I want it to be a way to inform anyone else thrown into that position of what to expect, to convey that the pain that people watching their loved ones go through, while personal and unique to each of us, is not isolated. And, finally, my favorite question: What should I be asking you that I didn’t? I live convinced that Anthony Burgess is one of the greatest modern writers of the English language because of his sharp mind and versatility. I mean here is the man who wrote A Clockwork Orange, one of the more disturbing stories on society versus the individual, as well as Man of Nazareth, an ode to the life of Christ that became the backdrop for Zefferilli’s six-hour movie. He has written novels, biographies, and critical studies that knock me out. I know that when I read him, I better have a dictionary nearby because of the linguistic jokes he loves to plant in his work. In fact, there is a word that I still cannot nail down from his novel Napoleon Symphony—a fictionalized look at Bonaparte’s life divided into four parts where Burgess tries to pace his diction according to Beethoven’s Third Symphony. That is magnificent, clever, and indicative of real discipline. Yet, with all that work to choose from, he also produced what I rank as the greatest novel of the late 20th Century, Earthly Powers. The book covers 80 years of history and events through the eyes of a gay writer who befriends and becomes a confidant to the Pope. It has one of the greatest opening lines ever, and no one but no one comes out with clean hands. 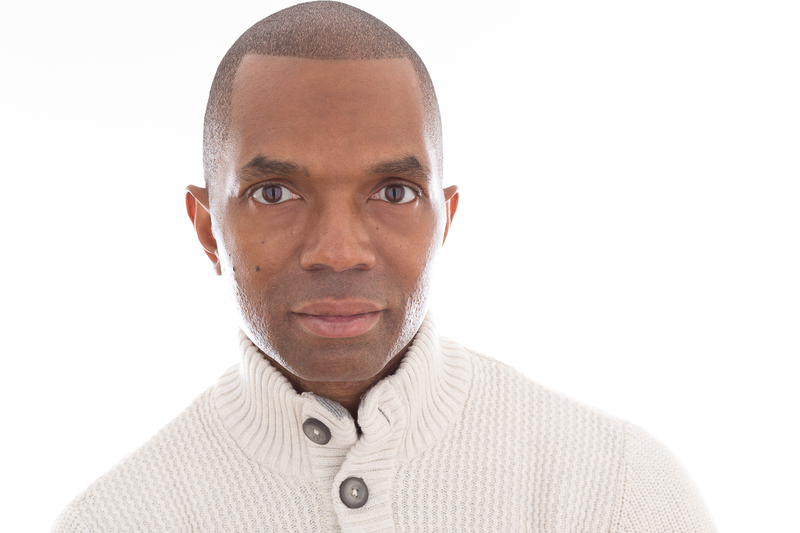 Join Joe Okonkwo on June 2 at 7:00 p.m. at The Astoria Bookshop for a reading from his debut novel, Jazz Moon. Join Boundless Tales on June 9 at 7:00 p.m. at the Astoria Bookshop for readings by Lynne Bronstein, William Shunn, Mark de Silva, and Elizabeth Onusko, hosted by Aida Zilelian. Join us on June 11 at 5:00 p.m. at the park behind Lost Battalion Hall as we celebrate the launch of Issue #8 of Newtown Literary! The event will be hosted by Kelly Jean Fitzsimmons and feature Carly Anderson, Chris Antzoulis, Suzanne Bennet, Jurien Huggins, Madelin A. Medina, and Mariahadessa Ekere Tallie. Rain date: June 18. Join the LIC Reading Series on June 14 at 8:00 p.m. at LIC Bar for readings and a panel discussion with Rob Spillman, Joe Okonkwo, and Charlie Vazquez. QUEENS, NY—Queens literature lovers are gearing up for the second annual Book Trivia Night in Astoria. Scheduled for November 2 at Break Bar and Billiards, the event will test teams’ knowledge of categories such as “Books You Should Have Read in High School,” film adaptations, translations, and mysteries. Proceeds will benefit Newtown Literary, the nonprofit journal that publishes Queens writers and poets. Newtown Literary Event Organizer Valerie Keane sees the event as an opportunity for readers and writers across the borough to come together for a night of fun. First Tuesdays Reading Series host Richard Jeffrey Newman will return to emcee the five rounds of trivia. Prizes will be awarded to trivia champions and raffle winners, including a bottle of Veuve Clicquot champagne; gift certificates for Restaurants.com, Yoga Agora, “PR in a Pinch for Writers”, and Good Fortune Design Studio; two tickets to a show by the First String Players theater company; and a tote bag full of books from Astoria Bookshop. Jackson Heights-based creative writing workshop leader Nancy Agabian formed her own Heightening Stories trivia team for last year’s event. Funds raised from admissions, raffle tickets, and mulligans will go directly toward printing the seventh issue of Newtown Literary, slated for release this December. Last year’s event exceeded the organizers’ expectations and, as the top fundraiser in the nonprofit’s history, enabled the journal to publish its fifth edition: the Speculative Poetry and Prose issue. Doors open at 7:00 p.m., with trivia beginning at 7:30. Advance tickets are available on Eventbrite for $8, and teams of 4‐6 players that register in advance are eligible for a free mulligan. Individuals orgroups smaller than four will be placed with additional teammates when they check in at the event. Tickets will also be sold at the door for $10. Attendees are encouraged to Tweet about the event using the Twitter hashtag #NewtownTrivia. For more information, visit newtownliterary.org/trivia-night/ or contact Event Organizer Valerie Keane at events@newtownliterary.org. My earliest memory of taking an active interest in creative writing goes back to the sixth grade. It was my social studies class. We were supposed to take some sort of creative approach to writing about an historical event. I chose to write about the journey of the explorer Marco Polo in the form of a newspaper article. Actually, I went all out and turned the project into a period-specific newspaper, or more appropriately, a newsletter. I re member having quite a bit of fun putting the whole thing together, and I would have gotten a perfect grade on it, except for one thing: I misspelled the word “business”, repeatedly. Writing and visual art have been the two biggest outlets for my imagination for most of my life. The problem has always been in deciding between the two. What has happened is that instead of choosing, I’ve bounced back and forth, and while this act hasn’t completely satisfied me, it has kept me going creatively which, I suppose, is what matters most. I studied visual art for eight years, aspiring to be a commercial illustrator before getting bit by the comics bug in college, which led to a number of professionally published and self-published works throughout the 1990s. This, in turn, led to some journalistic writing in the 2000s, including a brief stint as an editor at a short-lived pop culture magazine and my first, tentative steps at blogging. One would think making comics would satisfy both my interests simultaneously. For a time, it did – but then I got restless again. I needed to get away from comics after being immersed in the industry for so long. Plus, I had returned to New York after living in the Midwest for what I had thought would be a permanent basis, and I was feeling out of sorts. I needed a new start in something creative again, and blogging – about movies, in my case – reawakened my interest in prose writing. So I switched tracks. Then, in 2013, came a turning point. 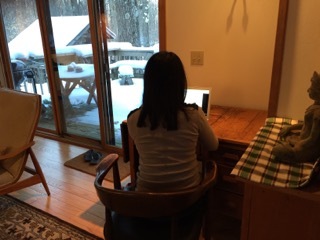 I forget where I first heard about National Novel Writing Month – probably somewhere online – but the idea of writing a 50,000-word first draft of a novel in 30 days kept coming back to me in my mind. It sounded crazy, but at the same time, it struck me as exactly the sort of challenge I could chomp my molars into. I solicited advice on the endeavor from friends who had tried it in the past, did a little reading on it, and after a great deal of vacillating, gave it a shot. I hit the 50,000-word mark with a few days to spare, and afterwards, I wondered, well, what now? I certainly didn’t want to put this draft, which I had agonized over for the preceding month, into a drawer and forget that it existed. I knew it wasn’t anywhere near as polished as I had perhaps hoped it would be, but the act of writing it, plus being around others who were in the same boat, taught me a great deal more about writing than I could have imagined. So I got to thinking… how much further could this new knowledge take me? Could I actually take this draft and turn it into a for-real, sold-in-bookstores novel? I guarantee I won’t misspell “business” again. The Queens Young Authors and Poets Contest needs your support! QYAP is the biggest writing contest in the borough, inviting kids in grades 3 through 12 to submit poetry or prose. The winners get published in an upcoming issue of Newtown Literary. Between now and September 30, you can support the contest at our IndieGoGo page, where you can learn more about the contest and the great perks we have for donors! Will you be at the 2015 Comadres and Compadres Writers Conference on October 3 at The New School? If you are, be sure to look for our own founder, Tim Fredrick, as he leads a panel on getting published in mainstream literary journals. On October 4 at 5:00 p.m., come to the Astoria Bookshop for Poetry and Coffee’s discussion of Memorial: A Version of Homer’s Iliad by Alice Oswald. Tickets are free but required. Boundless Tales is accepting submissions for its current reading series! Submissions are considered on a rolling basis; the next reading will be October 8. Want to give your writing a kick in the pants? Heightening Stories presents the Jumpstart Your Writing online workshop with a session starting starting November 1. Sign up by October 22 to save $25. Delve deep into your personal writing as Heightening Stories presents the Creative Nonfiction/Autobiographical Fiction workshop. Enrollment is open until November 4. Work on your development and revision skills! Heightening Stories presents the Community Writing Exercise Workshop. Enrollment is open until November 10. Writer Kate Zimmermann’s story “Bon Goût” was featured in Issue #4 of Newtown Literary. We interviewed her about her writing, and her answers are below. I’ve lived here for eight years. After I graduated, I lived in Brooklyn for two years in a 60-square-foot half-bedroom that I suspect was previously used to house the dog (it was covered in claw marks). I paid almost as much there as I ended up paying for my studio in Astoria, where I live now. I’d love to live in Astoria forever if possible, but every time my lease is up, I get nervous. There’s an artisanal chicken-and-biscuits place here now, after all. I work in publishing, but of the prescriptive non-fiction variety, so I’m fascinated by the different ways that writers can communicate information. Sometimes I find contemporary literary fiction frustrating. I tend to believe that stories should have a story, even if it isn’t fully told. I love comics, where story is inescapable, even if it’s abstract, like in a Michael DeForge comic. I tend to like magical realism because I think readers can be complacent and make lazy assumptions when you give them the standard tropes of literary fiction. I think in any kind of writing, a reader needs to, if not be surprised, then certainly to be knocked off-balance. I don’t think there was a time when I didn’t make up stories. I studied writing in college, too, but gravitated mostly toward language poetry and other stuff fixated on construction rather than expression. I just had a talk with a friend of mine about how sometimes we hide in abstraction to escape failure, and I think that was part of it. I interned at a poetry journal while I was in school, and I felt so much despair at what was coming in — it seemed like pointless reflection. Squirrels at the bird feeder in the morning kind of stuff. I wanted to write something like James Dickey’s “For the Last Wolverine” (“How much the timid poem needs / The mindless explosion of your rage”) but I never really got there. However I do think it made me a better writer of jacket copy for books about IBS and crystal divination, so that’s good. I think it’s exciting to be here now. In Brooklyn I felt like the rules were already written. There was already a hierarchy and a rhetoric and you can’t pick up a book without reading about some literary dude in Fort Greene or whatever. The Love Affairs of Nathaniel P. made me want to die a million times. I hated it so much. People make the assumption that Queens is just going to become another Brooklyn, but I don’t think that’s true, chicken and biscuits notwithstanding. There were people here before me who are still here, living. I feel like people live here, and I like that, because I want to live here too. I’ve been reading a lot of diaries. I read The Journals of Spalding Gray and Anne Truitt’s diaries, and I’m Very Into You (which wasn’t a diary but an email correspondence between Kathy Acker and McKenzie Wark, but read like two diaries). Then The Folded Clock by Heidi Julavits. Then I read Josep Pla’s The Gray Notebook, which was his diary written in Barcelona in 1919-20. That one is really wonderful. So, during the summer my company offers half-days on Fridays, so I’ve been using those days to wander around and then write long diary entries. At the end of the summer I’m going to self-publish the ebook, which I’m going to call Summer Fridays. Then in the fall I might switch to Mondays, but I’m not sure. 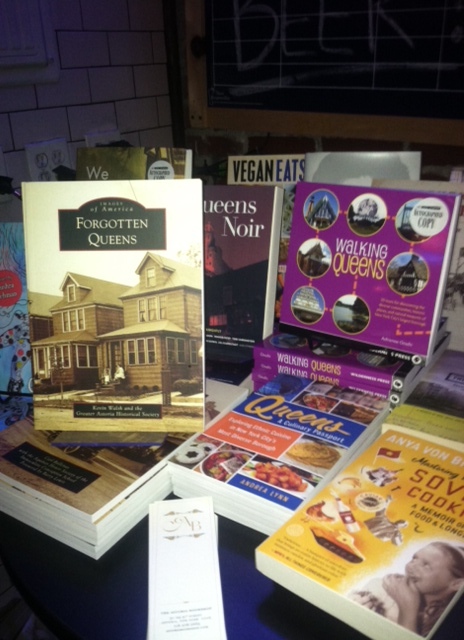 I’d love to know the answer to “What’s the best book about Queens?” I haven’t read many! Writer Daniel Damiano’s poem “Two Muggings Revisited” was featured in Issue #4 of Newtown Literary. We interviewed him about his writing, and his answers are below. You can learn more about Daniel at his website, and check out his theatre company, fandango 4 Art House, here. I’ve lived in Queens for over 25 years. As a playwright, I love writing character-based pieces which blend both comedy and drama, though some have more of the one than the other. They vary in tone, region, and type from play-to-play, but are ultimately always focused on depth of character. My poems range from the personal to the observational, and often focus on past memories and life in New York, a place that I continue to find rich with symbolism, poignancy, and humor. At a very young age, I gravitated towards writing around the time that I also started acting. I was basically a bad playwright and poet at the onset and learned that the best way to develop skill as a writer was to gain life experience and having something more substantial to draw from, which is what makes playwriting and poetry extremely cathartic for me, and the most timeless profession — because it is ageless. It is truly the ultimate high for me to create something out of words and to make an assemblage of words into a play or poem that can get to someone in some way. That’s always extremely satisfying when you feel you’re able to pull that off. Great art in just about any form, be it theatre, poetry, painting, et al. There are many artists in various mediums, most of whom have unfortunately passed on, whom I look to and continue to draw inspiration from with the depth and body of their work. New York City is also very inspiring because it is always in motion, always very active in some way, even in its silence. I think it means the same as it does anywhere in that it’s simply a wonderful and honorable thing to be a writer because we are creating reasons for readers and audiences to be engaged, even stimulated, and to ponder things in various ways. However, I will say that it’s great to feel a part of a more public movement in Queens in the last few years, which the Newtown Literary Journal has really helped to forge, with regards to poetry and short stories, and allowing public forums for writers to read their work and support each other’s work. It’s a lovely thing, indeed. My play The Dishonorable Discharge of Private Pitts will be receiving its World Premier this fall at IATI Theatre on East 4th Street in NYC, produced by my wife’s and my theatre company, fandango 4 Art House. I will also have my one-act CUT revived as part of the Neil Labute New Play Festival at 59E59 Theatre in January 2016, produced by St. Louis Actors’ Studio. I’m currently nearing a completed draft of a new full length play called HARMONY PARK which, ironically, is my first full-length play set in NYC (Queens, to be precise), and focuses on a landscaping crew working on park in a fictional part of Queens and the tensions that arise as a result of one crew member’s past. Want to give your writing a kick in the pants? Heightening Stories presents the Jumpstart Your Writing online workshop starting September 20. Tickets are limited for the September 26 Poetry and Apple Picking excursion sponsored by Poetry and Coffee. Sign up now for some great Autumn inspiration! The Queens Young Authors and Poets Contest needs your support! QYAP is the biggest writing contest in the borough, inviting kids in grades 3 through 12 to submit poetry or prose. The winners get published in Newtown Literary. Between now and September 30, you can support the contest at our IndieGoGo page, where you can learn more about the contest and the great perks we have for donors! Writer Shelley Ettinger’s story “The Ellen Burstyn Equation” was featured in Issue #3 of Newtown Literary. We interviewed her about her writing, and her answers are below. I’ve lived in Queens for 20 years. My life has been enriched by the cultural splendors of this borough of workers, immigrants, great food and vibrant art. I’m not Queens-born–I was born and raised in Detroit, and lived in Brooklyn and Manhattan for the first 12 years after I moved to New York–but like so many others, I found my way here and am very glad I did. My first novel, Vera’s Will, was published on February 2 by Hamilton Stone Editions. I write some poetry, but mostly fiction, and I consider myself a political writer. I know this is the ultimate literary sin in this country, where we’re told political art is an oxymoron, but in my opinion the prohibition on political fiction is itself highly political, meant to promote the status quo and suppress dissent. All fiction is political, as the great Toni Morrison has affirmed, it’s just a matter of whether you make your political agenda explicit or not. I do, and I hope that my writing serves to raise consciousness, arouse anger, and strengthen those who struggle against oppression and exploitation. I’ve always written — labor journalism, political fliers, speeches — but how I made the turn toward literature is a bit of a mystery. I think it had to do with my age (I started writing fiction very late, in my mid-40s), the experiences I’d accrued, and ultimately a story that thrust itself to the front of my brain and demanded to be told. This is the novel now being published. Once that ball was rolling, other stories made themselves manifest as well, and images for poetry, and so on. Stories of struggle and suffering. That sounds grim, I guess, but for me it’s all about hope. I’ve come to think that the single great subject of art, of meaningful art that will resonate and last, is human suffering. And from human suffering arises human striving and joint action for change. The common experience of the great mass of suffering and striving humanity, the great billion-fold effort to build a better world, this is what drives my writing. To give voice, to reach out, to make connections. “Only connect”: that great phrase which is usually misunderstood as pertaining to individual interpersonal relationships but which actually, you find when you read the sentence in Howard’s End, is an exhortation to make the political connections, between, for example, one’s own well-fed belly and one’s neighbor’s hunger, between, for example, the wealth of the one percent and the hardships of the 99 percent. All of which I know will strike most as hokey or preachy in this time and place where the i-This and the i-That reign supreme, but which I nevertheless believe is the core and foundation of the best art and literature. And what does it mean to be a writer in Queens? Well, for me at least, it means staying connected (there’s that word again) to the vast range of experiences, journeys, hopes and aspirations of the people who’ve come here from all over the world. Being reminded again and again, and staying open and tuned in to these reminders, that mine is a single puny individual story, that there are so many other stories so different than mine. Listening for them, learning from them. Where to find more details about my novel Vera’s Will! Please check out my author website and Amazon page. Thanks. Work on your development and revision skills! Heightening Stories presents the Community Writing Exercise Workshop. The next four-session cycle begins September 15, with enrollment open until November 10. On September 15 at 8:00 p.m., the LIC Reading Series presents: Akhil Sharma, Justin Taylor, and Sam Lipsyte. Check out some great Queens writers in Brooklyn as part of this official Brooklyn Book Festival Bookend Event. Also on September 15, The Risk of Discovery Poetry Workshop and Open Mic will be held at 6:30 p.m. at Q.E.D. : A Place to Show and Tell.